So yesterday, me and Paul met up to make our way together to the opening of SM Aura in Taguig. We were both feeling very fortunate since we realized that the invites for this event were very "exclusive". We got together sometime around 4 and decided to pass by a different store launch first since we thought/ or had the misconception of a changed schedule for Sarah Jessica Parker's appearance. While at that event, we received a text saying that it was over, SJP came out for about 15 minutes, cut the ribbon, giggled some and waved to the crowd. We were like what??? Seriously, we couldn't believe we missed it but then the opening ceremonies were still ongoing so we decided to still take a chance and pass by. Luckily, we got there just in time for her presscon. We high-fived in front of this tv and tried to find out where in the vast mall the live video feed was coming from. We tried to figure it out for awhile but we soon got carried away with all the newly opened shops. 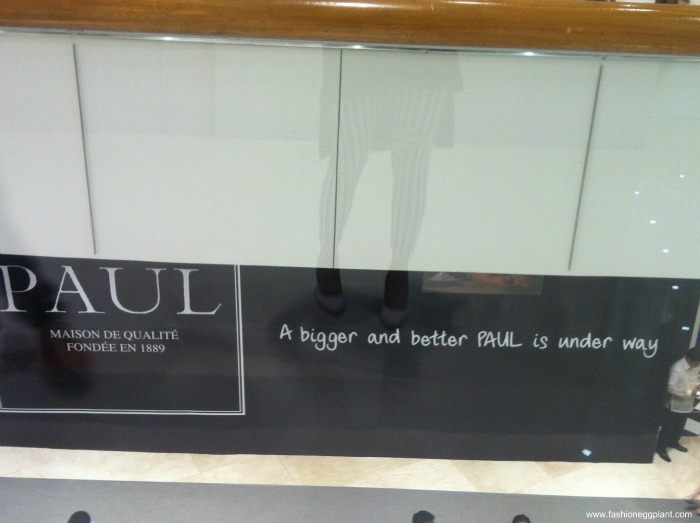 Paul is a super "shoppingero". hahaha. So distracted, we started walking around the mall to check out the shops. Here's some clearer photos from The SM Store's Facebook Fanpage (like them for more photos and videos nalang). 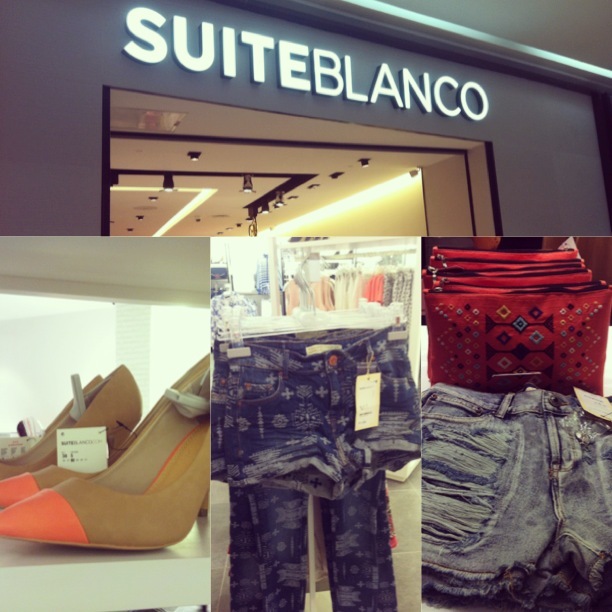 Suiteblanco. 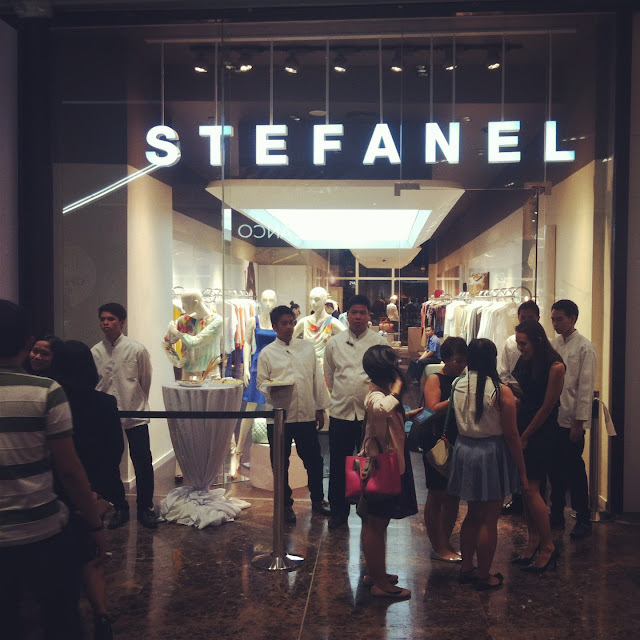 It's their first store in Manila but I can already see it being a big hit with the fashionable crowd. Not only are their pieces super affordable (shoes for P1700, tops for 1k or less, pretty beaded clutches for P1200), they're also at the cutting edge of fashion. Expect lots of gorgeous printed pants, blazers, boho chic beauties and fashion forward footwear. Stefanel. Gorgeous, gorgeous, sophisticated and well-made pieces. Aside from a plethora of other new shops, SM Aura also houses your favorite brands only much, much bigger!!! 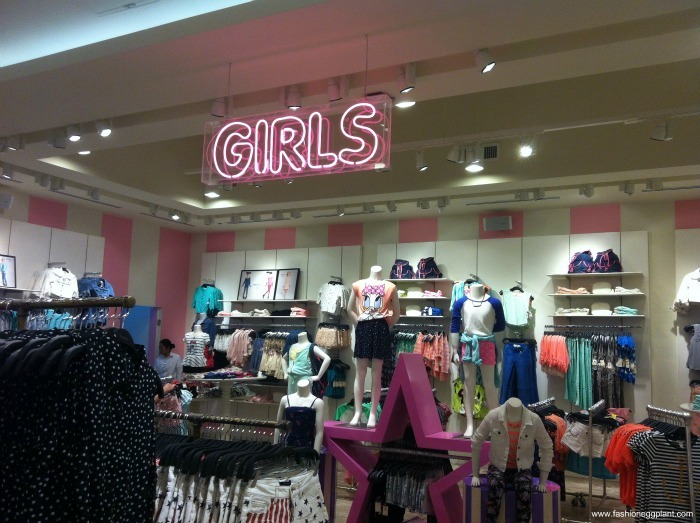 Forever 21 boasts 2 floors with a large "girls" section for our kids and a huge shoe section across it for us! There's also a the biggest Uniqlo I've seen, Topshop, Topman, Stradivarius, Bershka and a lot more. Just listing all of them down is maxing out my credit card! 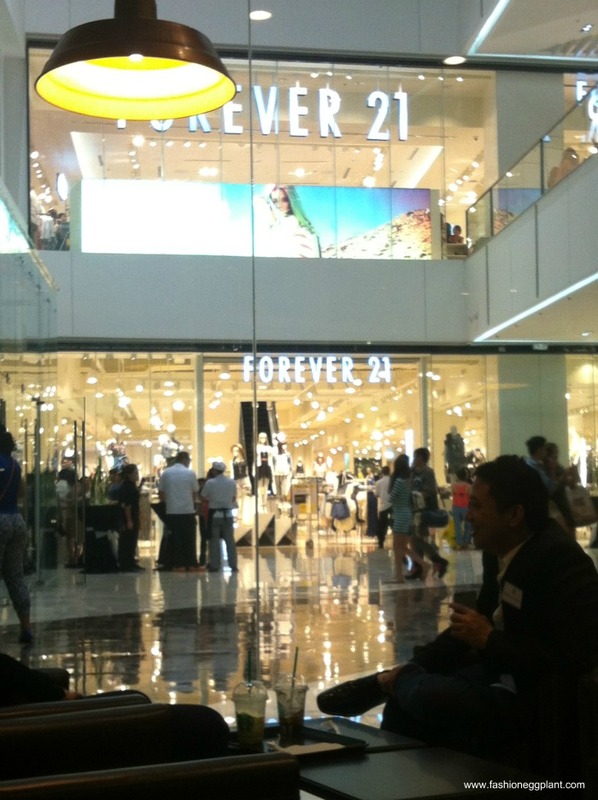 SM Aura is truly one of the most exciting shopping destinations in Manila! You can check them out inside BGC, Taguig starting today. You're so lucky to have seen her in the flesh!